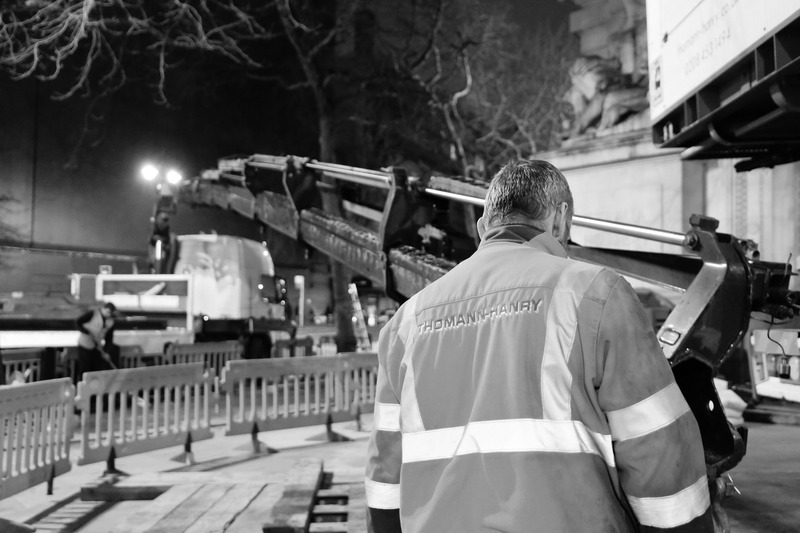 During the last couple of years, we have seen unprecedented growth in the UK business, with a significant number of impressive and extensive projects being added to our portfolio. 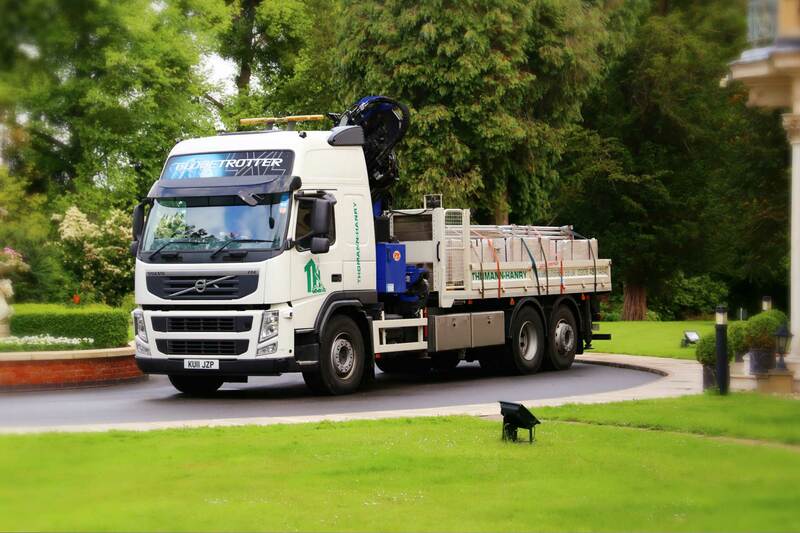 The entrepreneurial spirit of our management fosters continuous investment in equipment, staff and premises. 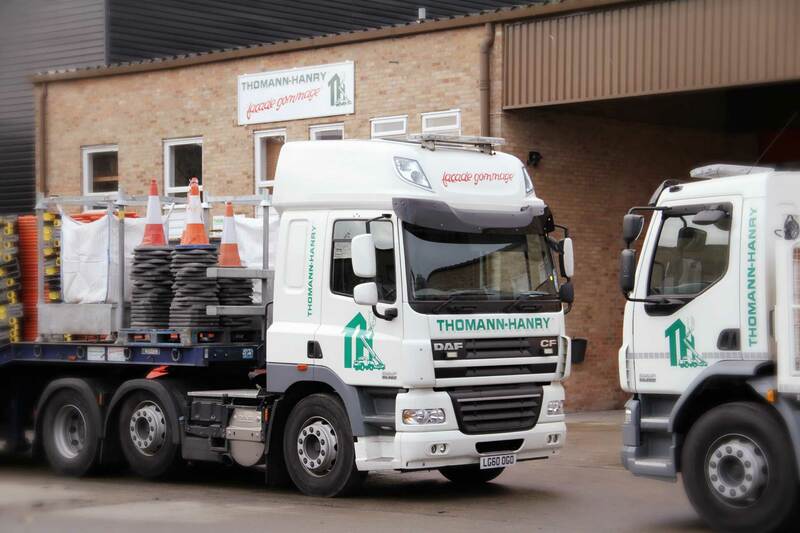 Nearly 20,000 square feet of vehicle storage and workshop facilities now adjoin the head office. 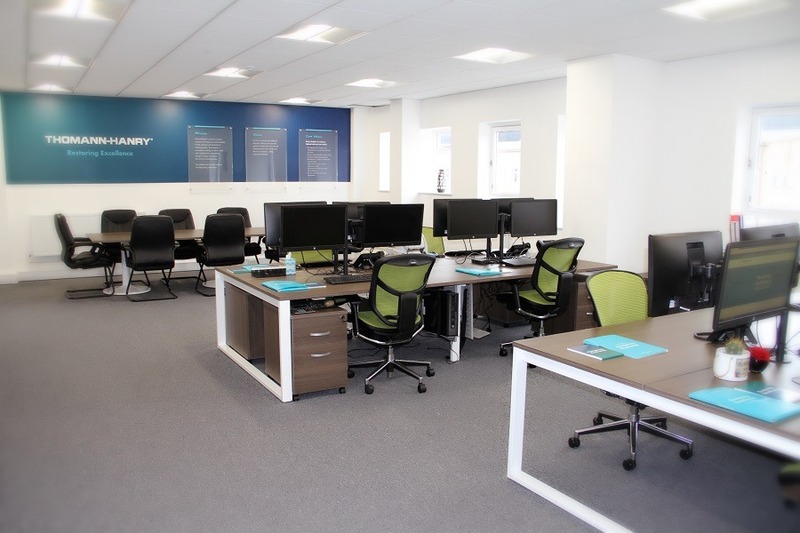 It’s no secret that by keeping office stress low, you can increase productivity at work. Happier staff are more productive and more present, both physically and mentally. Thomann-Hanry® management are always looking for new ways to improve their employees’ wellbeing. 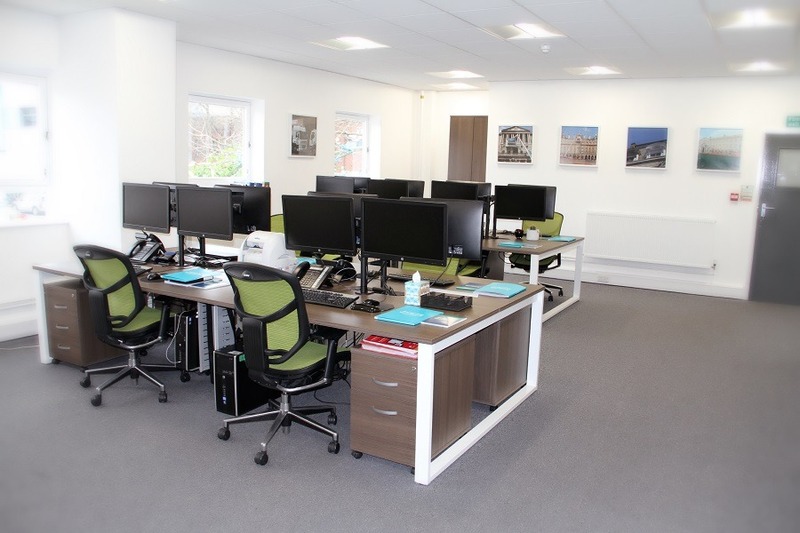 Despite offering a flexible working hour model with pension contributions, holiday pay, sick pay and the benefit of having a Christmas shut-down, the day to day routine can always lack a bit of a sparkle. 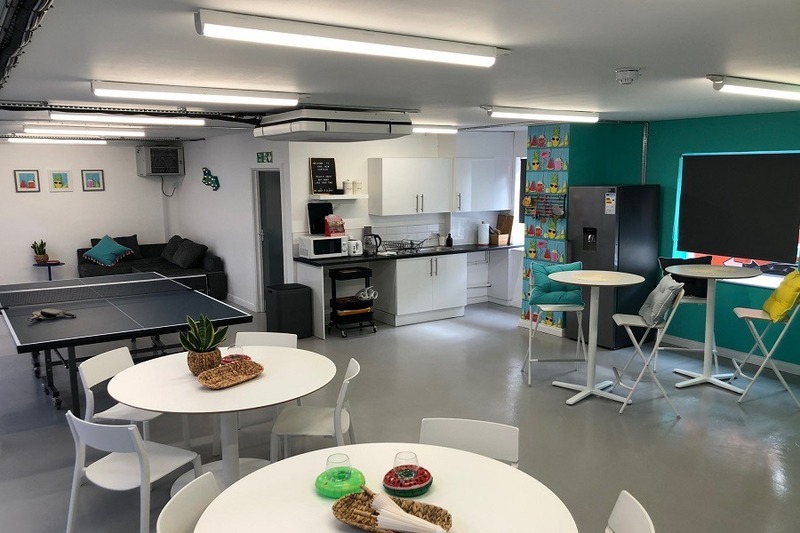 Having a little haven in which to unwind during a lunch or tea break was one of the most inspired management innovations, and the team worked together to bring a funky yet relaxing canteen to life. 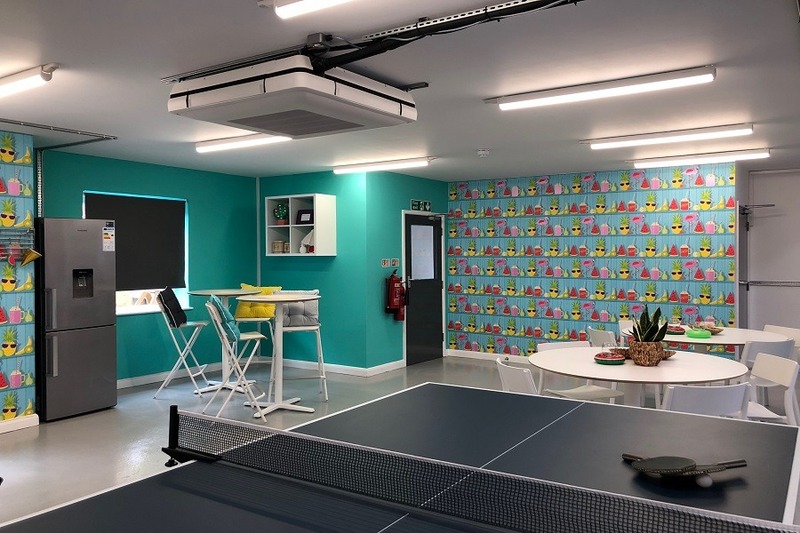 Based on corporate colours to keep it within our brand identity, it is the perfect place for staff to refresh and revitalise for the second half of their day which, in turn, increases their creativity, effectiveness and productivity. 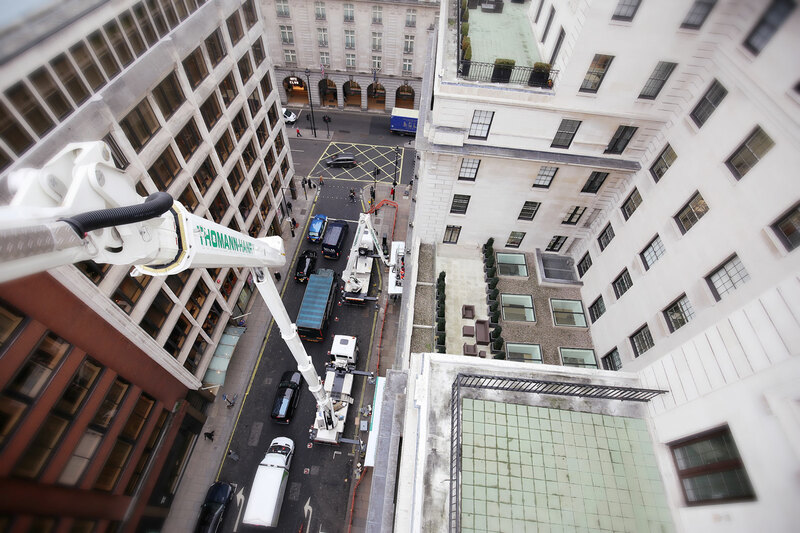 Our fleet includes a large number of perfectly maintained and highly reliable platforms reaching up to 48 metres. 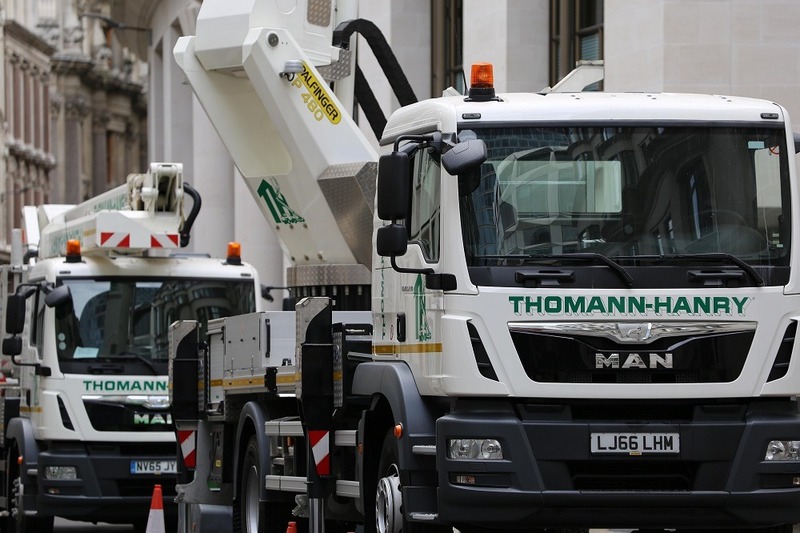 We pride ourselves on our unparalleled investment in cutting-edge equipment – in particular, our very latest mobile platforms. 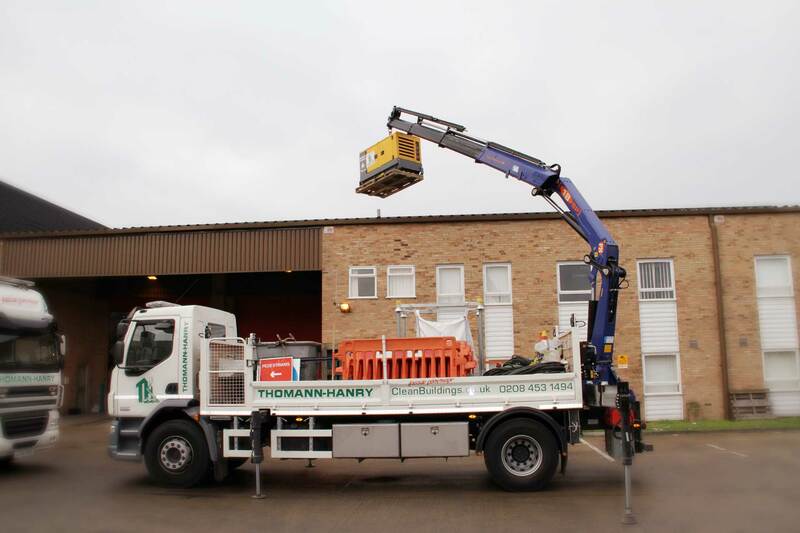 We run two immaculate lorries with HIABS, capable of lifting up to 17 tonnes and reaching 30 metres, allowing us to position equipment in difficult-to-reach locations. 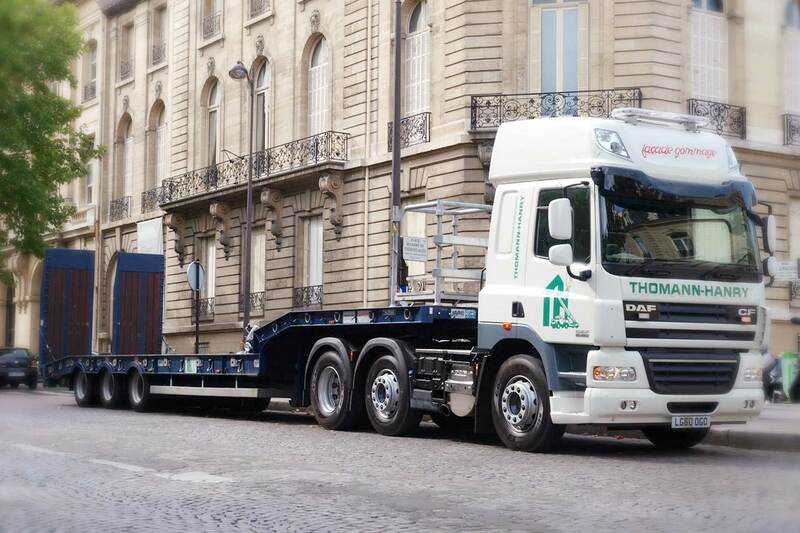 In addition, we operate a low loader, which enables us to deliver our own plant as and when required without relying on third parties. 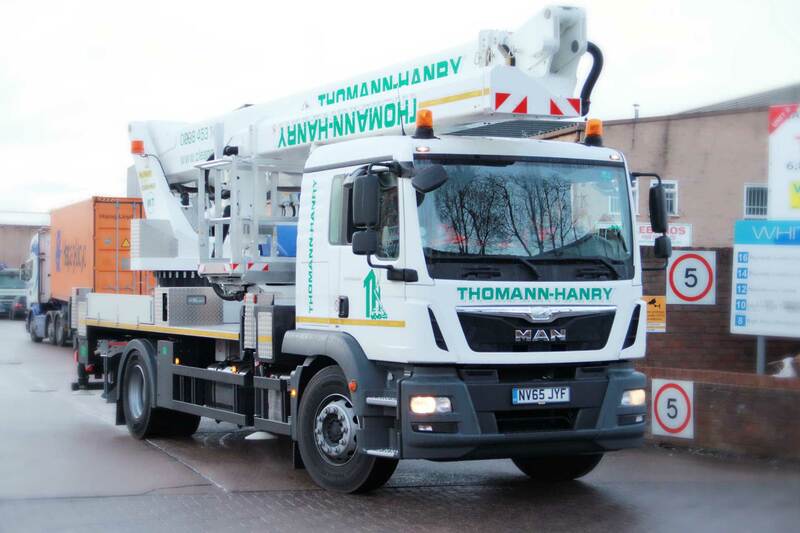 Thomann-Hanry® can supply all vital signs and barriers from our large stocks, while staff are Lantra certified to install traffic management equipment. 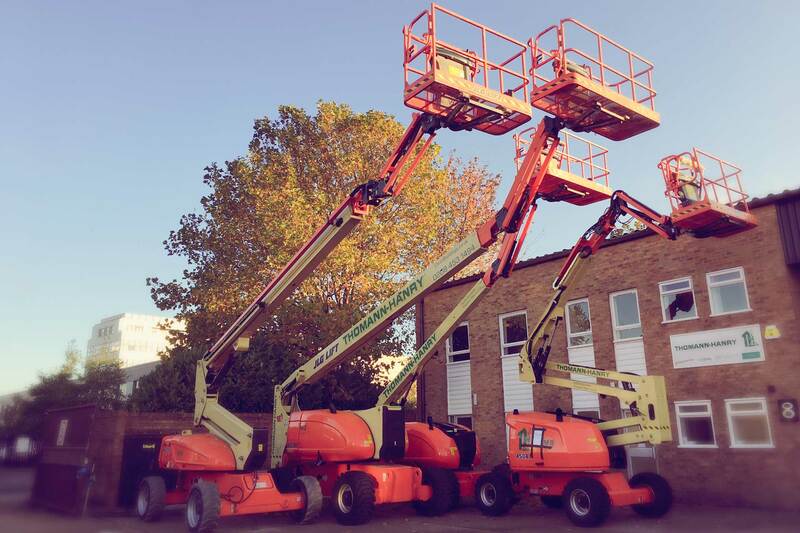 Our operators are qualified, and all equipment and accessories are well serviced and tested in agreement with LOLER regulations.